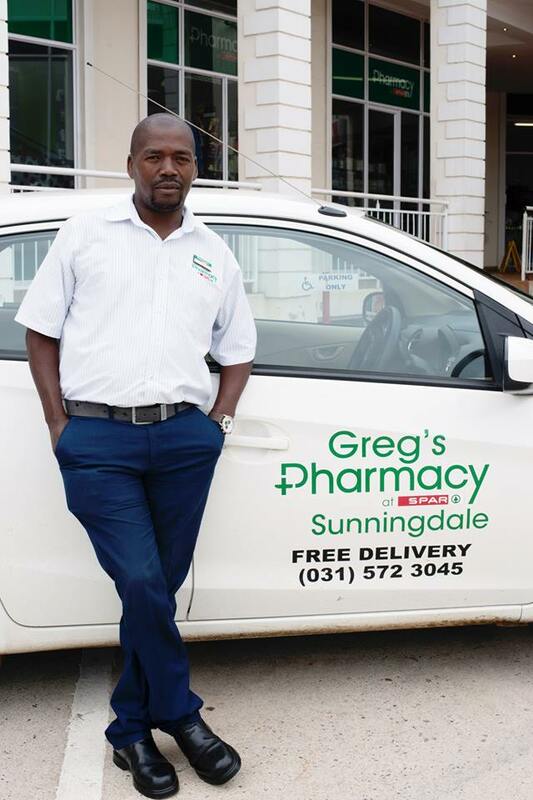 Our Responsible Pharmacist, Hendre has been part of the Sunningdale Pharmacy Family for many years. First as a young pharmacy student, then doing his internship, working for us a few years before he went to Cape Town for a while. Hendre has been back at the helm since October 2016 and it is really good to have him home! 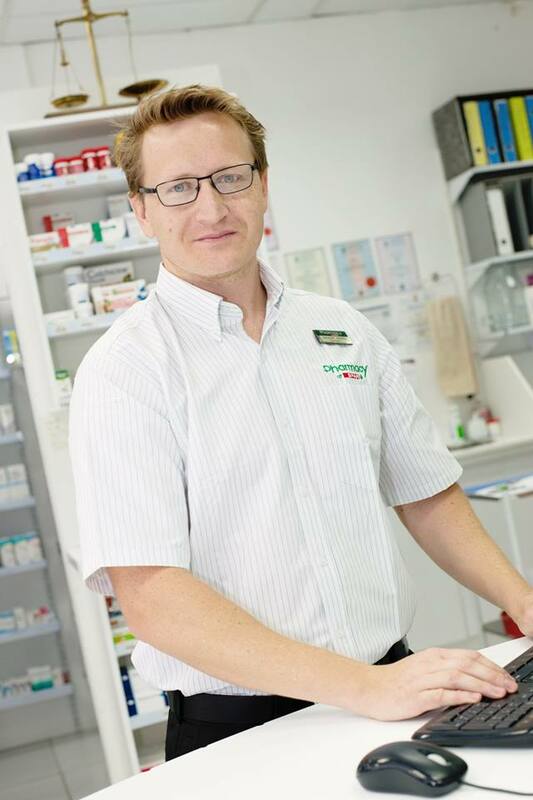 Sunningdale Pharmacy opened in 1993, and this family-orientated pharmacy is still keeping their customers healthy! 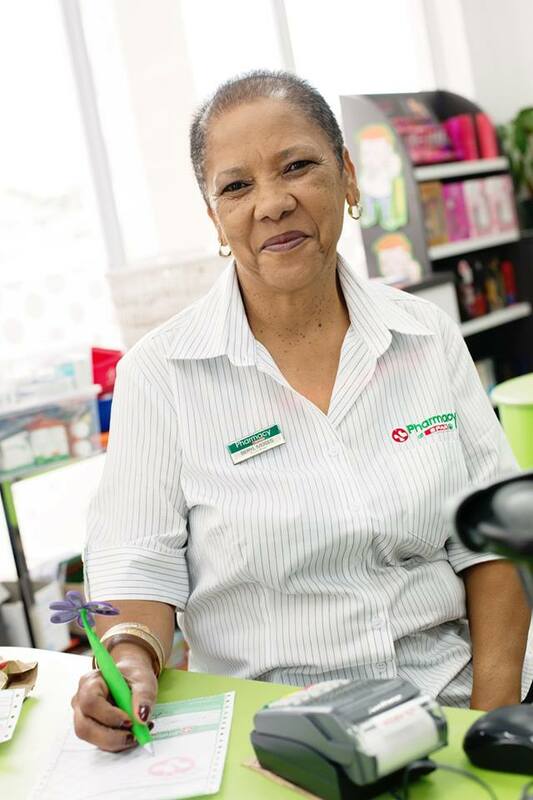 Ronel is the person who makes sure that the shelves are stocked with everything you need – from our beautiful gifting and toy ranges, to vitamins, First Aid and prescription medication. Leith joined us in 2012 as a Pharmacist, and as a mother of 3 little boys, she has loads of first hand experience and knowledge to share with all our moms. 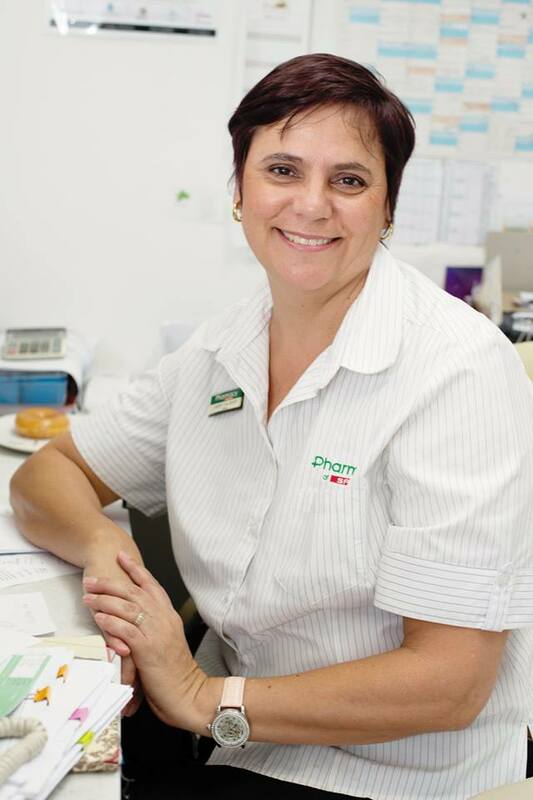 She is responsible for our Schedule Registers and is also our registered Tutor in charge of training our Pharmacist Assistants. Keeping it in the family, Ronel’s sister, Sanet joined the team in 2016 to handle accounts and medical aid reconciliations. A great organiser, she also makes sure everything works – from telephones to air conditioners. Sandi is our nursing sister. 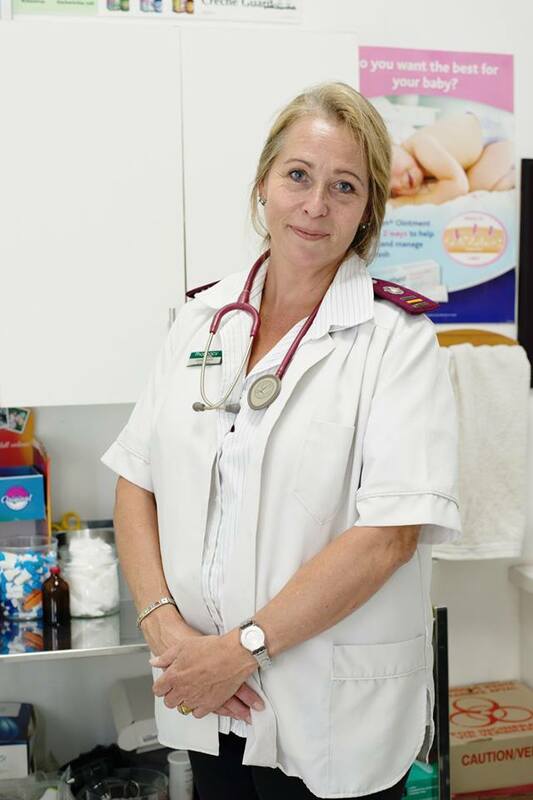 Highly qualified, Sandi and Sister Claire take care of our Clinic Programme. From Discovery Vitality Assessments, to primary health care checks and injections. Sandi joined us in 2015. 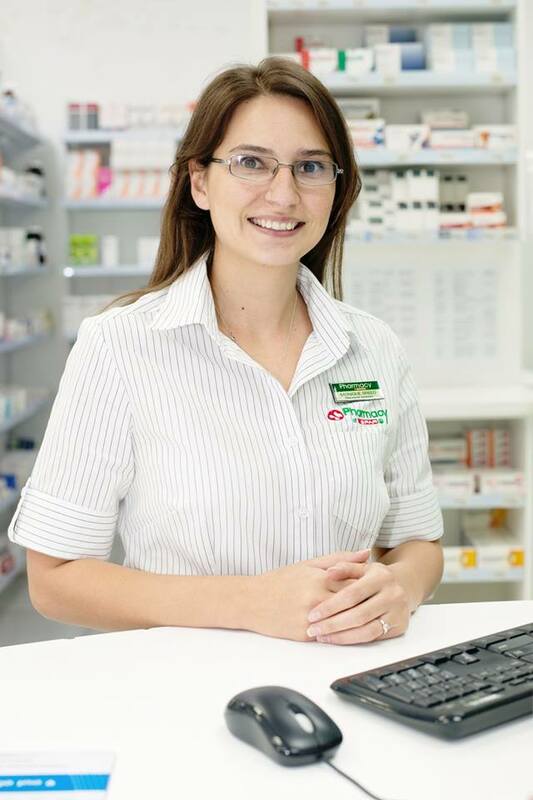 Monique is a registered Basic Pharmacist Assistant and joins her hubby, Hendre and the rest of the dispensary team in keeping you healthy. 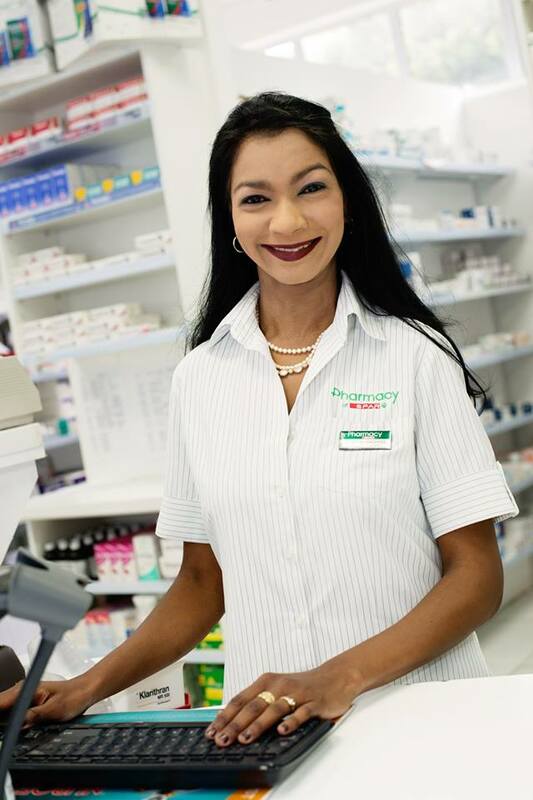 Monique and Hendre have 2 little girls, who will definitely grow up as part of the Pharmacy at SPAR Sunningdale Family. 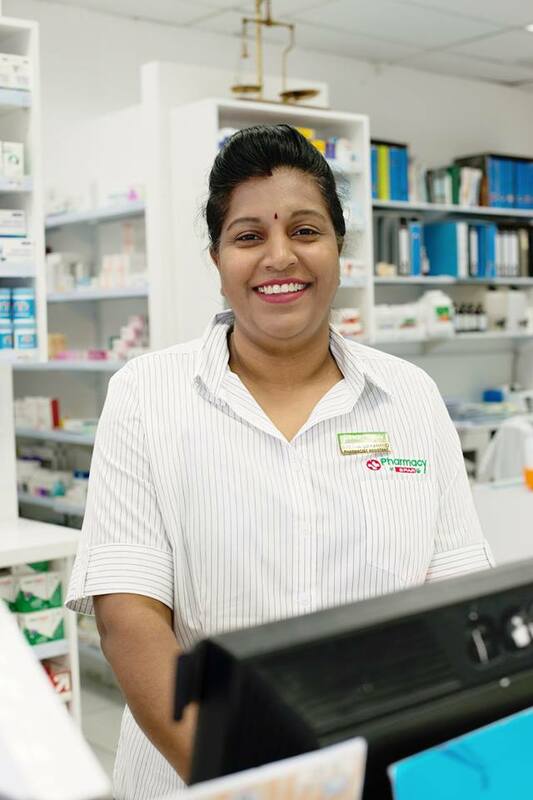 Sharon has been part of our team for 23 years and as a Post Basic Pharmacist Assistant is an invaluable asset to our Dispensary team. Always calm and smiling, going that extra mile for all her patients! 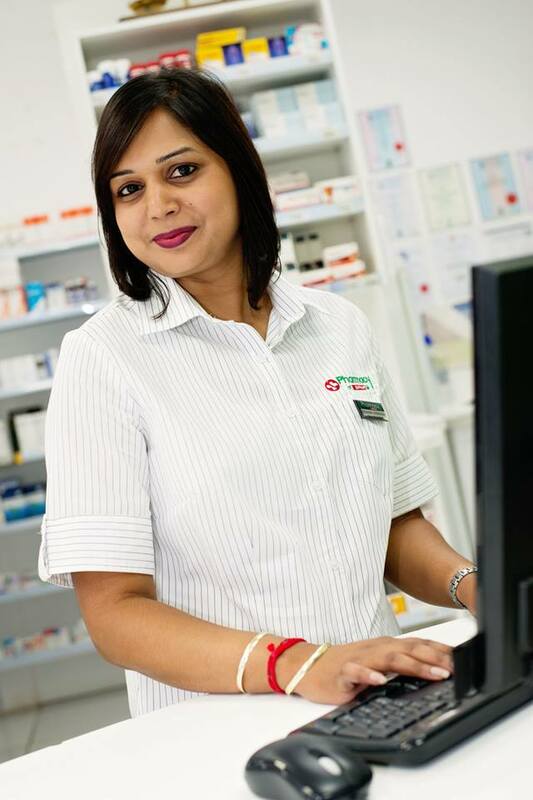 Reshma is our ‘message book’ lady – a Post Basic Pharmacist Assistant, Reshma is responsible for making sure all your telephonic, WhatsApp and email orders are processed, checked and delivered on time. A very daunting task, she capably handles! Reshma joined us in 2011. 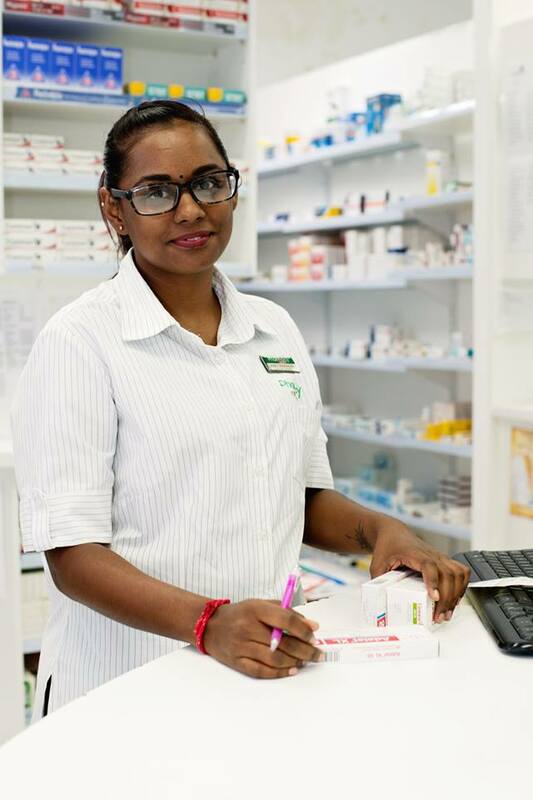 Aretha, a Post Basic Pharmacist Assistant, has been part of our team for 7 years and makes sure that our Retirement Home Patients are taken care of. 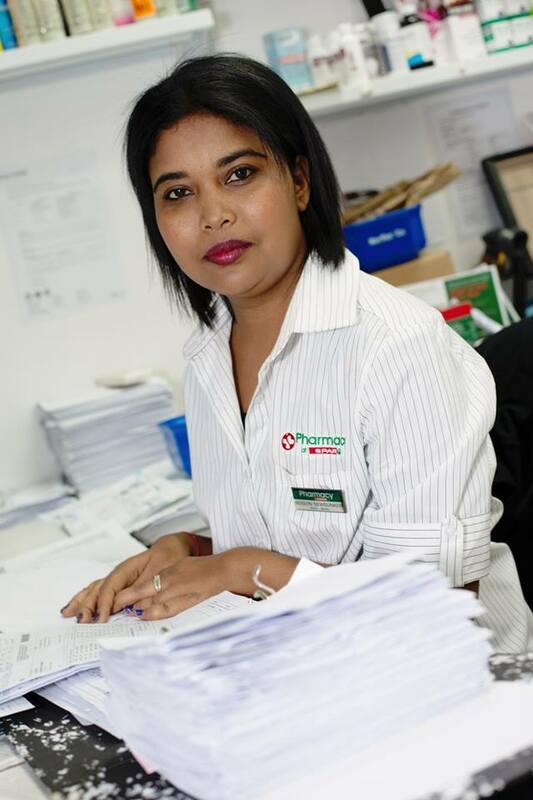 She ensures that our MedGuard24 Blister packing Service for 3 homes are processed, packed and checked multiple times. Aretha also assists with all chronic medicine applications and queries. 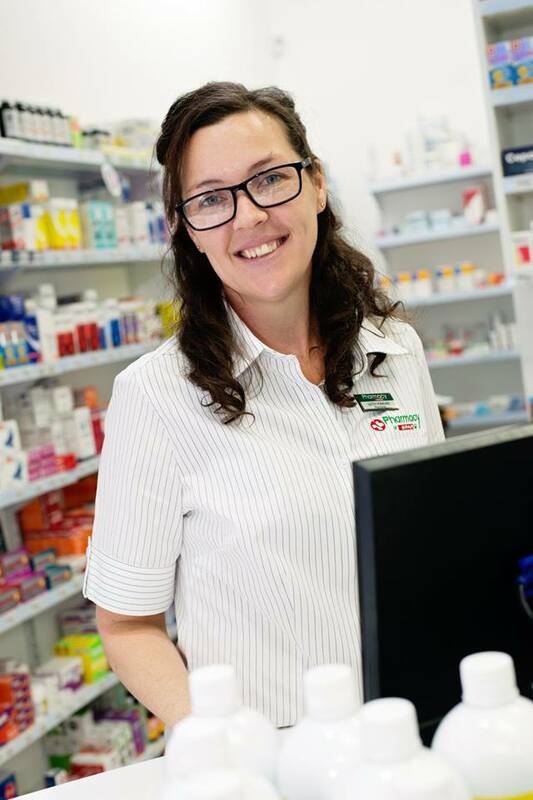 Emily is a Post Basic Pharmacist Assistant and one of the most hard-working people we know. Emily joined us in 2012 and nothing is too much trouble for her. 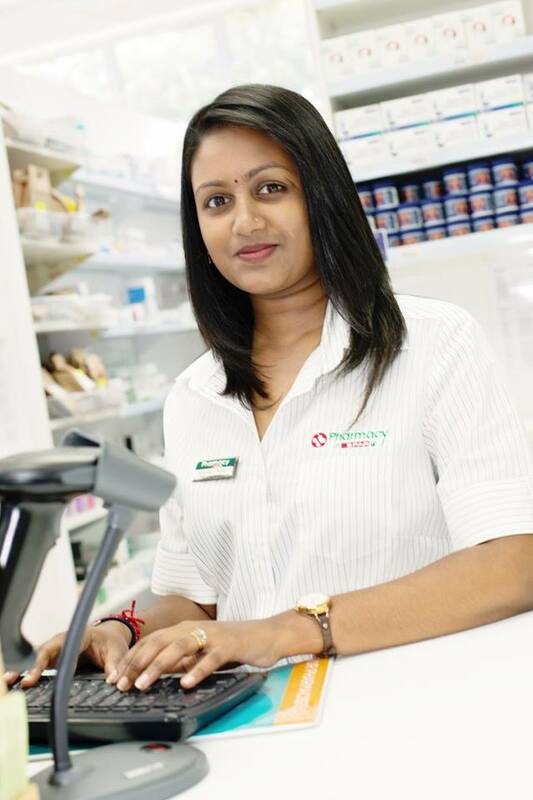 Shanice is our team’s baby, the youngest staff member, recently married and a registered Basic Pharmacist Assistant. She capably assists Hendre and Aretha with the MedGuard24 Blister packing service. 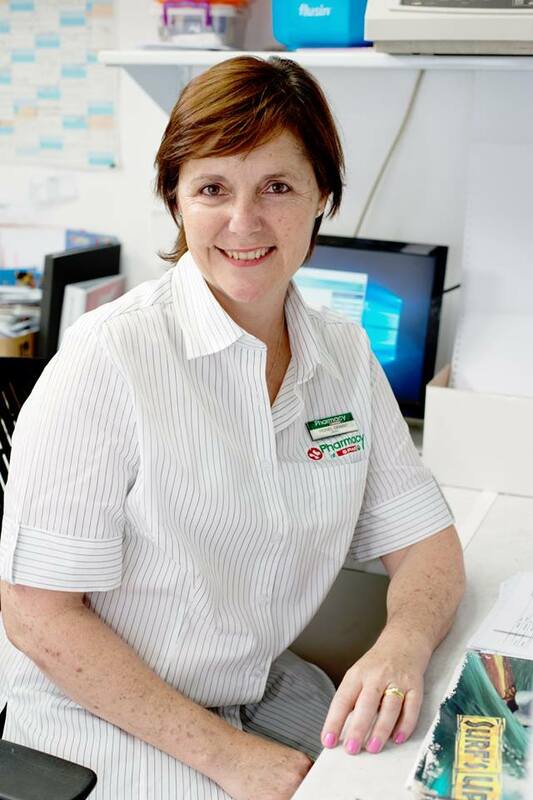 Our Roslyn – phone answerer, message taker, appointment maker, baby vaccine booking guru – part of our team for 11 years! With Cindy and Bongi in the stockroom you can often hear them laughing during very busy days! They make work sound like fun. Beryl’s quiet smile and calm manner, makes her a loved member of our team since 2006. She is a hard worker and makes sure that all our stock is on the shelf, making your shopping experience a pleasure. Fuzi has been delivering your orders safely for the past 11 years. Never complaining about last minute orders, always happy to help – even with packing stock and restocking the fridges when he is not out on deliveries. Goodman is a truly a good man, as one of our customers said. 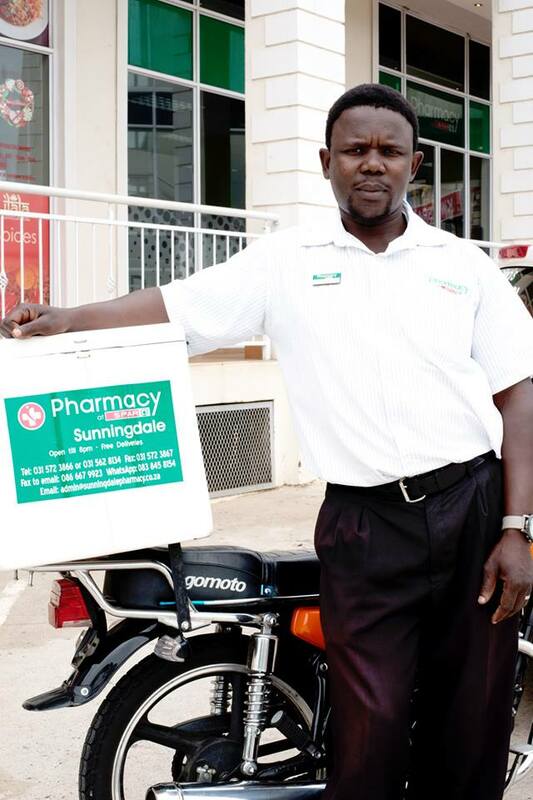 He joined Fuzi as part of our delivery team in 2012 and together with our third driver, Mkhulu (or Goodman 2), they safely deliver thousands of parcels every month. 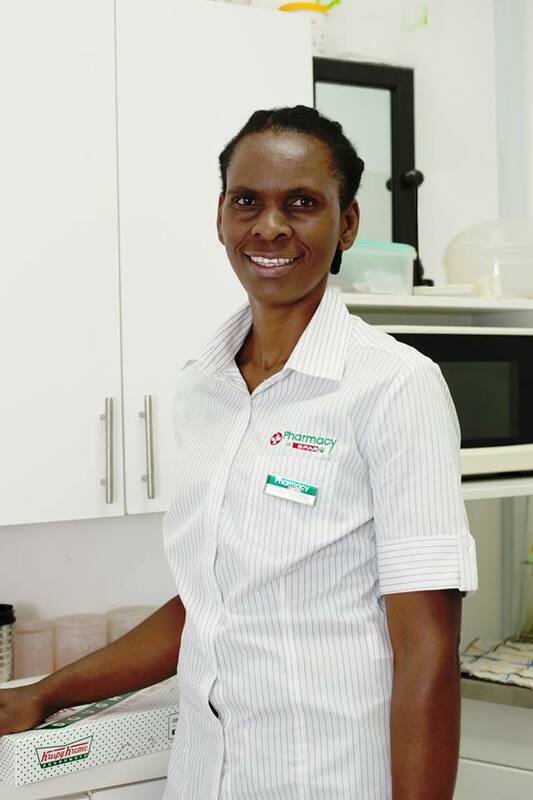 Zanele makes sure that you shop in a beautiful, clean, hygienic pharmacy and keeps us filled up on tea and coffee! Zanele recently returned from maternity leave. She has been with us since 2014. Don't be shy. Get in touch with us on Facebook!